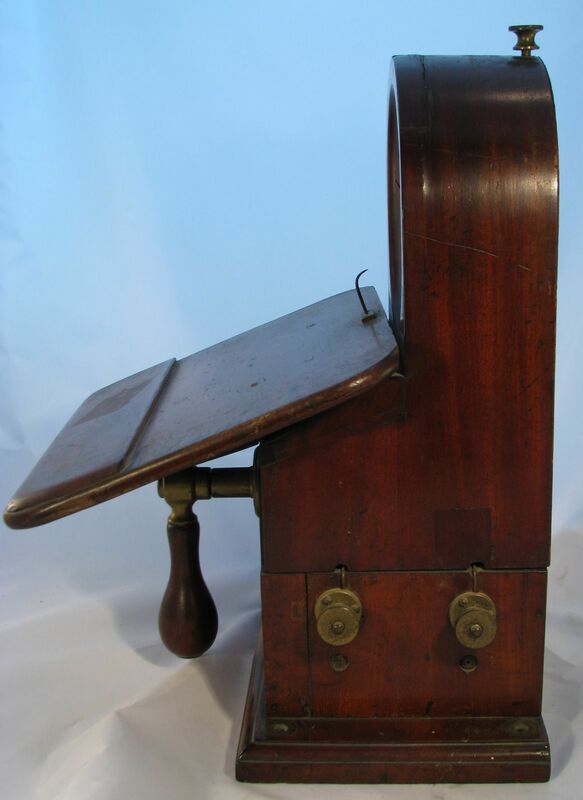 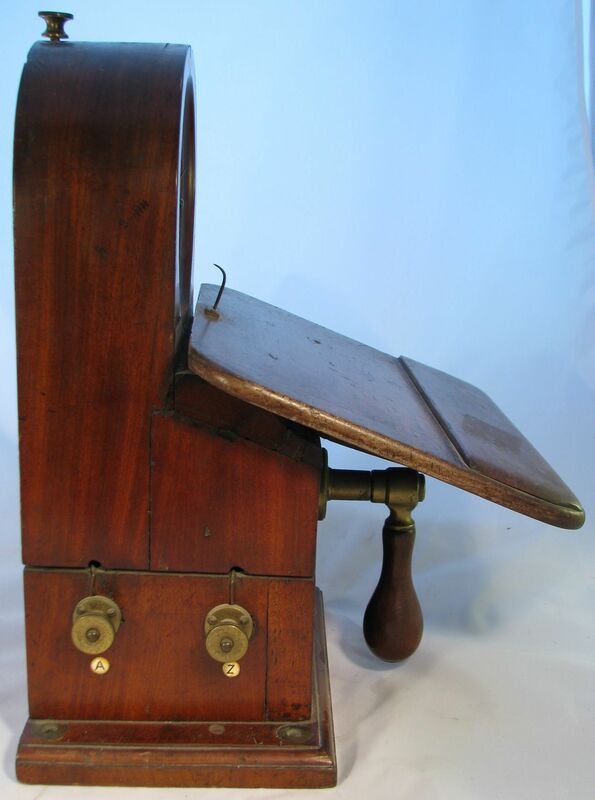 Full Description: A General Post Office Wheatstone Single-Needle Telegraph,of railway origin, in large domed mahogany housing, with sloping writing slope and sturdy brass handle. 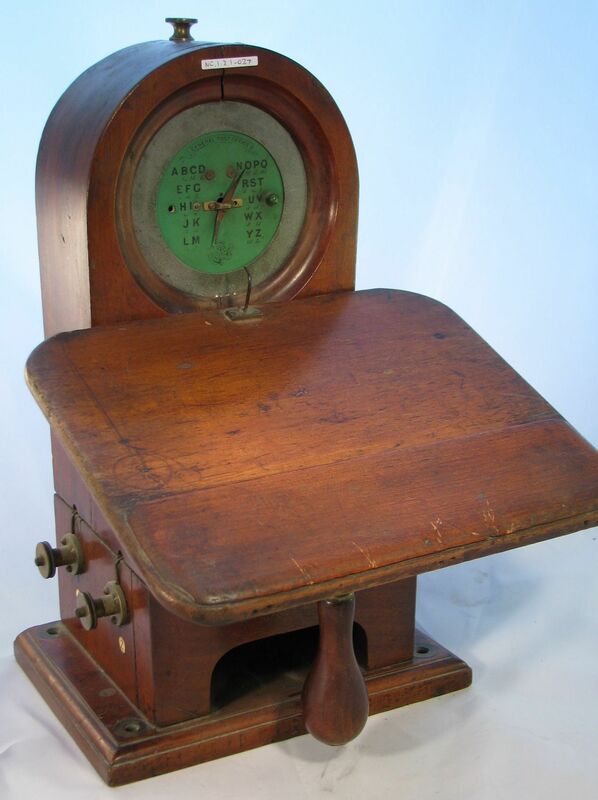 Pairs of these transmitter/receiver telegraphs were in common use on the railways of Britain from the 1840s onwards. 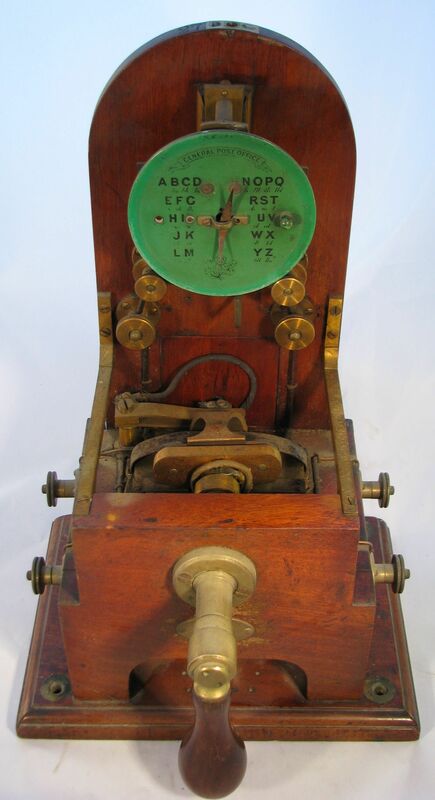 A contemporary engraving of a similar Telegraph as used on the railways is Item NC10201-005 the Collection.